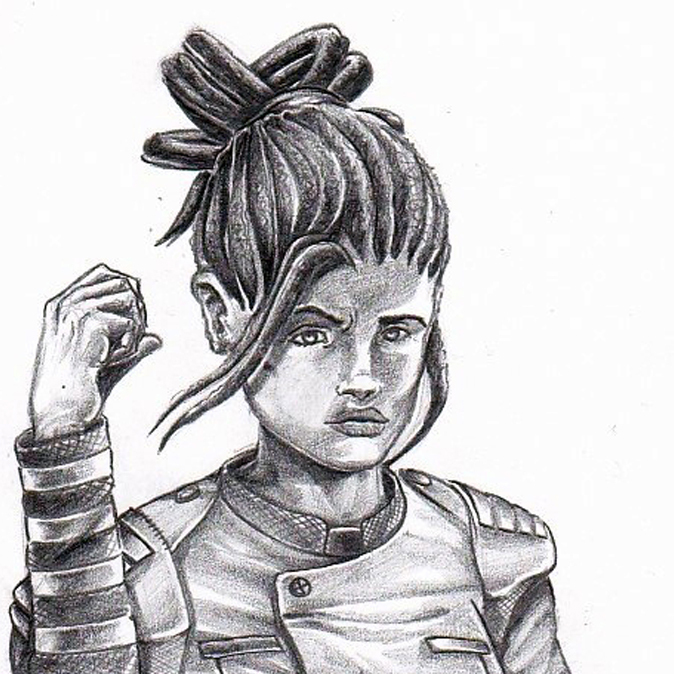 Aeolian Hope is an ongoing, fan-made Halo webcomic. It's a raw sci-fi war story exploring themes of hopeful realism and unity in a galaxy tearing itself apart. It takes place in the middle of a 30-year war between humanity and an alien theocratic alliance known as the Covenant, committed to our extinction. 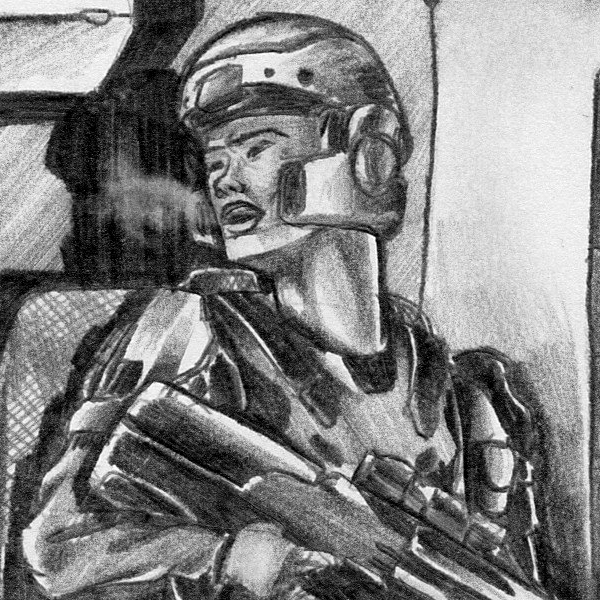 From the start, the face of the Halo franchise has been this guy, Master Chief Petty Officer, John-117. 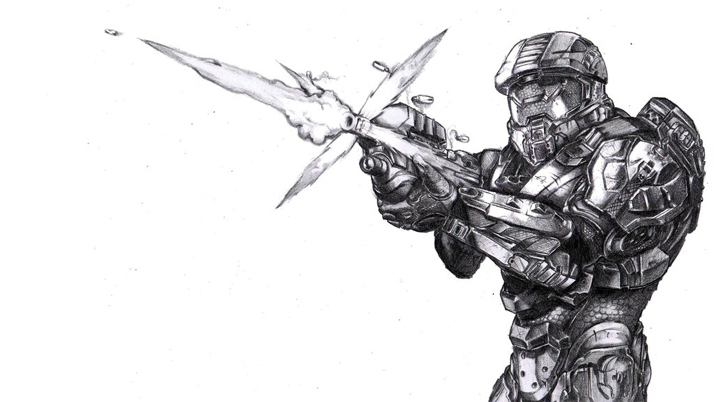 The Master Chief is one of a handful of SPARTAN super-soldiers - a powerful but rare component of Earth's defense. However, the unsung heroes of this universe have always been the un-augmented troopers and marines on the front lines, and they've never quite received their due. 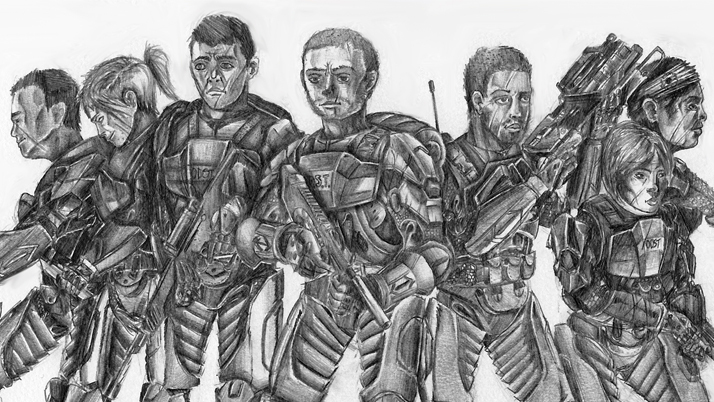 We're here to fix that, focusing on the lives and struggles of some of the regular soldiers fighting for humanity. We're asking you to help us create more content at a faster rate. With your help we could put out up to two new pages every week! Each of our milestones is focused on creating more content, unlocking more and more until we max out. Help us reach them and get some cool perks for yourself while you're at it! Patrons above a certain level even get to join the fight themselves! We hope you enjoy our story, and we truly thank you for helping to bring this passion project to life. A place in the credits of the comic as a Supporter: Private. Feel free to include a picture or banner, as well as a link to your Twitter, Facebook and/or website. The Aeolian Hope Avatar Pack. A collection of AH avatars for use on forums and social media. The collection will grow with the comic, and as long as you are supporting us you will always have access to it. A place in the credits of the comic as a Supporter: Private First Class. This will include any printed versions that are ever made. The Aeolian Hope Avatar Pack. A collection of pre-sized avatars for use on forums and social media. The collection will grow with the comic, and as long as you are supporting us you will always have access to it. If you’ve supported us for at least two months, you will get a printed copy of the first issue of Aeolian Hope, signed by the artist & writer, when it is complete, mailed to you (you will have to provide a shipping address). A place in the credits of the comic as a Supporter: Specialist or Corporal (your choice). This will include any printed versions that are ever made. An Aeolian Hope desktop wallpaper (Unlocked once we reach $50/month). If you’ve supported us for at least three months you will get a printed copy of each Issue of Aeolian Hope, signed by the artist & writer, mailed to you as they are completed for as long as you are actively supporting AH (you will have to provide a shipping address). 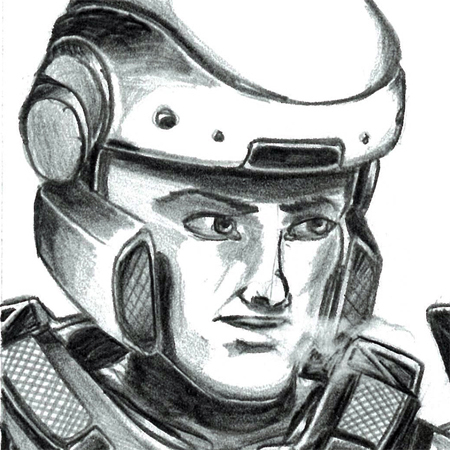 A place in the credits of the comic as a Supporter: Sergeant. This will include any printed versions that are ever made. If you’ve supported us for at least two months you will get a printed copy of each Issue of Aeolian Hope, signed by the artist & writer, mailed to you as they are completed for as long as you are actively supporting AH (you will have to provide a shipping address). You get a DUI! We will be creating a Distinctive Unit Insignia for the 342nd ADR. At this level you will get a large 342nd ADR sticker mailed to you to proudly display as you see fit (Mailing address will be required. Unlocked after we reach the $50/month Milestone). Join the fight! You will show up at some point within the Aeolian Hope story as one of the UNSC troopers. There will be several instances of combat that involve Army troopers aside from the established characters. They will be calling to each other by name so your character, complete with your own name and face, will be featured in one of these scenes. We cannot guarantee your survival, but we know that you will fight with valor for the sake of humanity. 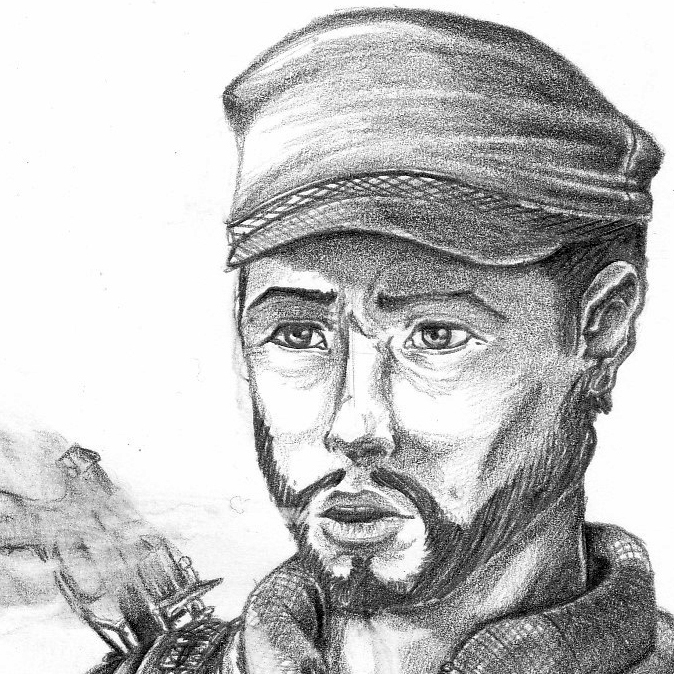 A place in the credits of the comic as a Supporter: Staff Sergeant. This will include any printed versions that are ever made. An Aeolian Hope poster to hang up at home (Unlocked once we reach $50/month. You will have to provide a shipping address). At this level you automatically get a printed copy of each Issue of Aeolian Hope signed by the artist & writer, mailed to you as they are completed for as long as you are actively supporting AH (You will have to provide a shipping address). Free PDFs of the Character art posters unlocked at the $75/month milestone, as they are completed. You can also choose one to have printed and mailed to you, signed by the artist & writer (You will have to provide a shipping address). Enlistment! Everything previously described for this incentive. 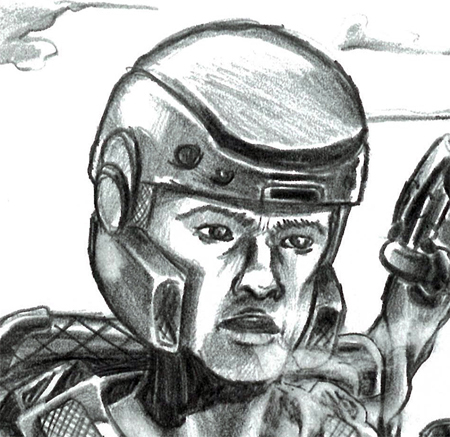 A place in the credits of the comic as a Supporter: Sergeant First Class. This will include any printed versions that are ever made. Battlefield Promotion! This is where it gets insane. At this level of support your unflinching bravery and commitment to the defense of humanity has paid dividends, as your character has earned a field promotion to commissioned officer status. You’ve faced the enemy on the field and know how to fight them. However, Mt. Krepost is only one of several active battlefields on Udachi. 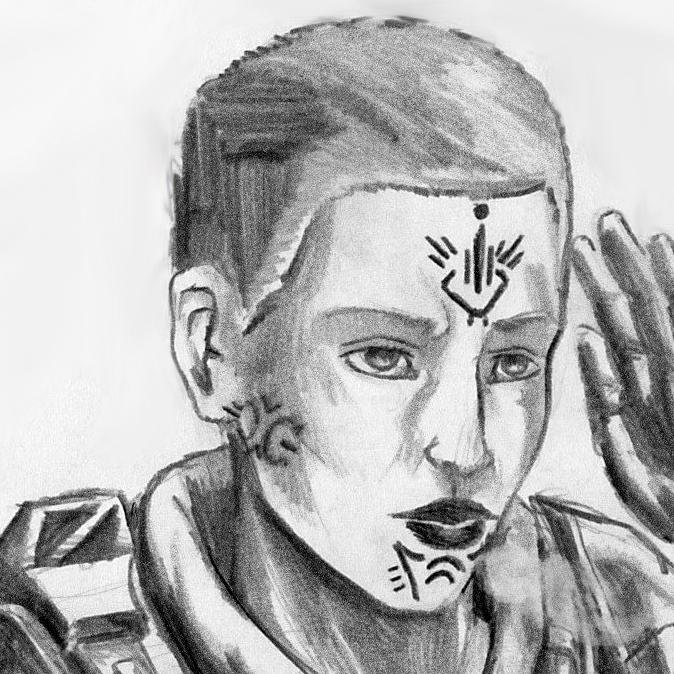 Now you are called upon to command and deploy UNSC forces, already stretched too thin, in defense of the colony. But what does this mean, exactly? 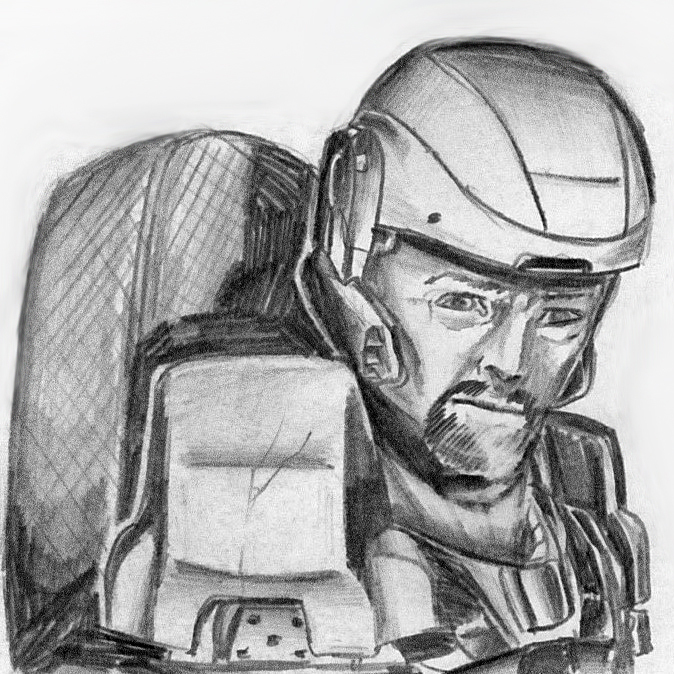 You get a custom drawing of you as a UNSC officer, using your real face as a reference. 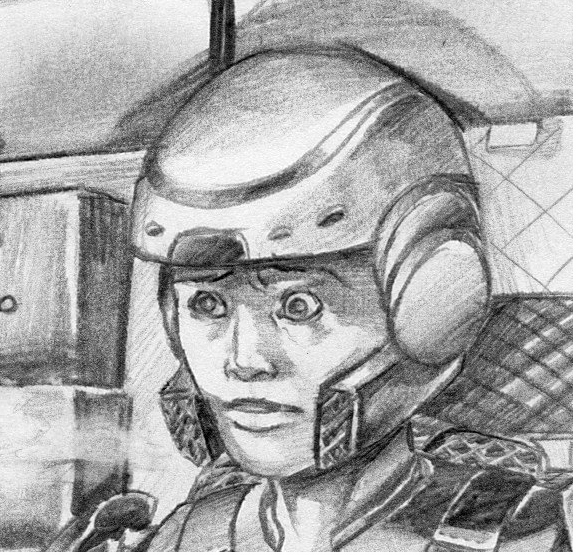 The original will be mailed to you while a digital version will be uploaded to a new section of the Characters Page on our website, ‘The Men and Women of the 342nd. In addition, our writer will work with you to develop a brief bio for your character which is in keeping with the established Halo canon and will be displayed along with your portrait. You even get to pick out your own unofficial theme song. 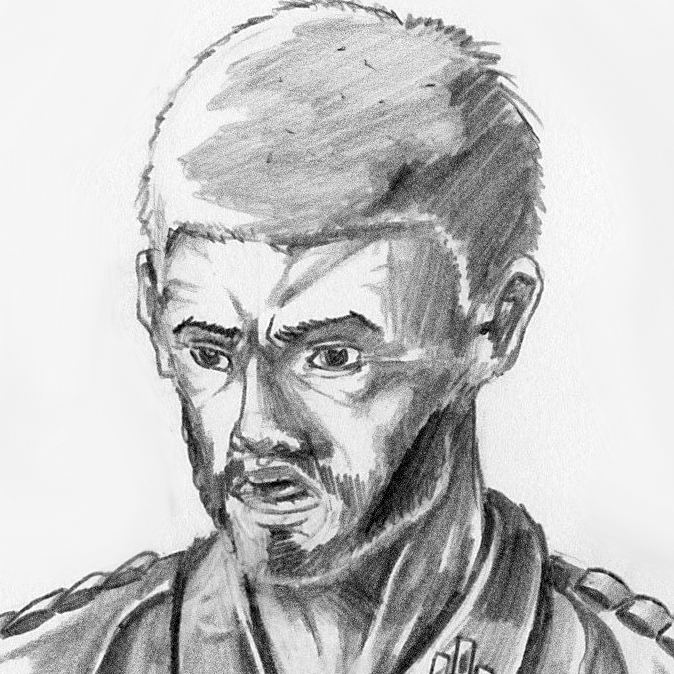 For every patron at this level of support, the Aeolian Hope team will create a unique battlefield scenario taking place somewhere on Udachi at the same time as the main story is taking place. You will be presented with this scenario; all available intel on the objectives, enemy strength, and available UNSC forces. Unfortunately, the total UNSC garrison on Udachi is too small to effectively counter the Covenant on every front. Thus, you will have to make hard decisions about where to deploy the forces under your command. You will need to think tactically; taking into consideration the strengths and weaknesses of the various enemy deployments and your own forces, terrain, relative strategic value of the contested objectives, civilian presence, and more. After you have carefully considered your options and made your decision, the actions will play out according to the strengths, numbers and abilities of the opposing forces. You will then be provided with an After Action Report that details the events and outcome of the engagement. The AARs will be posted on the Aeolian Hope website as they are completed, and when Aeolian Hope is finally complete, a collection of all of these After Action Reports will be shipped to all of our $5.00+ patrons along with the hard copy of the final issue. One final note: Don’t forget to consider how your decisions here will factor into the overall battle for Udachi. While your decisions won’t impact the main story going on at Mt. Krepost, they could have an impact (positive or negative depending on what you decide) on the nature of the scenarios other patrons are presented with. You may also have to make some hard choices between protecting evacuating civilians and securing critical military objectives. Whatever you decide, it will become an official part of the canon of Aeolian Hope, an exciting little fan-made corner of the Halo universe. 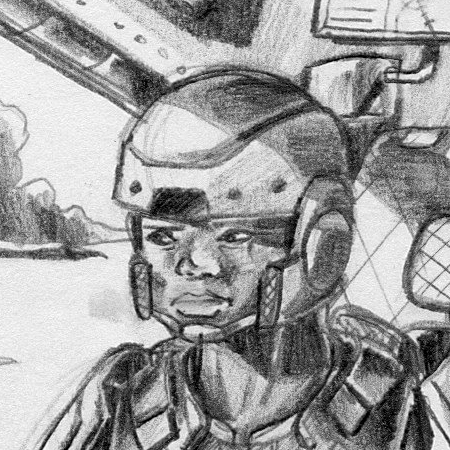 A place in the credits of the comic as a Supporter: Master Sergeant or First Sergeant (Your choice). This will include any printed versions that are ever made. A real 342nd Air Defense Regiment DUI patch. (Mailing address will be required. Unlocked after we reach the $50/month Milestone). A roughly 10-page bonus short comic featuring the $25+ Patron characters and a very special guest character (to be drawn towards the end of AH's run, for spoiler-avoiding purposes). Aeolian Hope is hosted on the free version of WordPress.com. Reaching this milestone will let us upgrade the website, giving it a custom domain name. This will make our site easier to find & more professional.